Some of our dams are in "Guardian Homes". Reminds us so much of her mother. Same sweet, loving personality, who wants to be your best friend . Her full sibling is our amazing Angus, just as kind and sweet. Parents are MBISS Grand Ch. Paradors Delian's Scrubbing In "Scrubs" & Iron Hill's Red Haired Beauty Bless It Be Gloria CGC "Rufina". Iron Hill's Bright Valley "Kendall". Parents are CH. Thornwood's Snowman "Frosty", (who's resided at Dickendall Labradors in Texas for a year) & our special girl Iron Hill's Red Haired Beauty Bless It Be Gloria "Rufina". Krystal & Sheamus are her full siblings. We love everything their mother has produced for us and excited to see some of the same with Kendall. 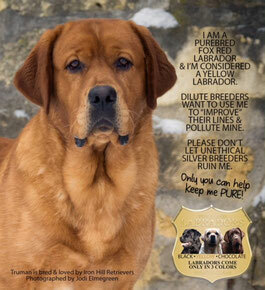 Her parents are our wonderful retired Iron Hill's Fire & Passion CGC "Ruby" & CH. Zinfindel's Dat Tripper To Anduin River "George". We are so excited to see what this lovely girl will produce with her amazing parents/pedigree. Grand CH. Waifs Fly Cabot To Torngat, CH. 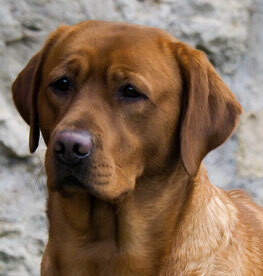 TABATHA'S Confection, Dutch/German/VDHMallorn's Aldebaran, Biss CH. Waif's High Flying Adored, CH. Dickendall's Davaron Gable, Boarders Moose, and Mtn. Meadow Black Wing Affair. She is in a guardian home with a wonderful family. Excited to have this amazing sweet/fun girl as part of our family. Her sire is Keepsake Little Red Rooster ad Keepsake Scarlet Letter. Pedigree includes Boarders Moose, Ch. Keepsake Cajun, Kellygrens Kardinal, Balrion Red Alert, Keepsakes I Love Lucy, Scrimshaw Placido Flamingo, Keepsake Reba, Keepsake Brickhouse, Keepsake's Gullivers Travels, Ch. Hampshire's Am I Blue, Keepsake Great Ball Of Fire, Keepsake Boing, Kellygreens Crimson Tide ll. Azaira is such a sweet/gentle soul, who loves to cuddle. Azaira is in a guardian home with a wonderful family. Love this amazing girl! Her parents are our lovely retired girl Iron Hill's Red-haired Beauty Bless It Be To Gloria CGC "Rufina" & Keepsake Brickhouse "Brick". Pedigree include, Keepsake's Gullivars Travels, Keepsake's Tiger Lily, Scrimshaw Placid Flamingo, Kellygreen's Lady In Red, Keepsake's Drift'N Dickens, Rocky Roadtrip Purdy, Penara's Ferg-A-Licious. Her parents are our lovely retired girl Iron Hill's Red-haired Beauty Bless It Be To Gloria CGC "Rufina" & Keepsake Brickhouse "Brick". Pedigree include, Keepsake's Gullivars Travels, Keepsake's Tiger Lily, Scrimshaw Placid Flamingo, Kellygreen's Lady In Red, Keepsake's Drift'N Dickens, Rocky Roadtrip Purdy, Penara's Ferg-A-Licious. She's in an amazing guardian home. Iron Hill's God Is Gracious Of Midnight Valley. "Gigi". She is such a sweet and easy going girl with an amazing pedigree. Includes many Kellygreen lines, Champion Keepsake Cajun, MTN Meadow Blackwing Affair, and Borders Moose. 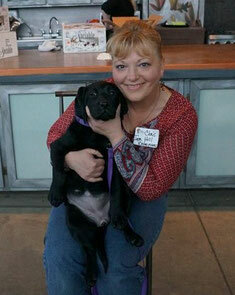 Huge thanks to Debbie from Midnight Valley Labradors for giving us this opportunity to whelp this litter with our Zeus. Her given name suits her well, as she is the kindest old soul. Never does anything wrong, just wants your love and is always ready to love you right back. Sire is Multi Biss Grand Ch. Shalimar's The Animator! 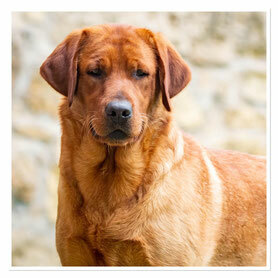 Other well know dogs are, GCH Ch. Sure Shot Hyspire Impressive, Ch. Nipntuck Hyspire Unforgettable, Ch. Blackwater Nipntuck Cheerleader, GCH Ch. Figure Dafoz Herbu Zadora JH., GCH. Am/Can. Venetian's Copy That, Ch. Wood hull's Roger That. Gerty reminds me so much of her mother. She has an amazing coat, bone structure, who's always happy. Such a stunning, beauty girl inside and out. Her parents are Hershey and our Zeus, as well as half sister to Abigail and Hera. Gerty is in a guardian home with Heiken family. Her amazing parents re BISS CH. Wi's End Jacks Or Better At Blackwig & Iron Hill's Greek Shining One, CGC. Pedicure includes many champions BISS CH. Blacking Superfine, CH. Wit's End Vegas Showgirl, BISS Ch. Blacking Santee, Blacking Super Freak, CH. Rozzay Hunt Club Clayview Grady, Boss AM CH.Can CH UKC GRCH Dostaff's Black Tie Required, CGC, TDI, & CH. MTN. Meadow Black Eye Affair. Becca is in a wonderful guardian home. Iron Hill's Roman Goddess Of Love And Beauty CGC "Venus"
Miss happy pants, always ready to give you a smile. 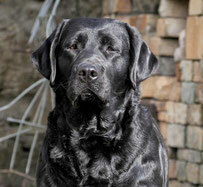 She continues to produce some amazing puppies like her retired, wonderful mom Valrhona. 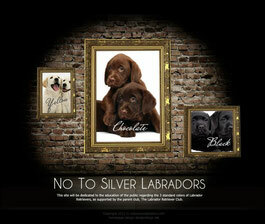 Venus comes from many lovely chocolates lines, Am/Can Woodrull's Roger That, Ch. Wilber Leisure Suit Larry JH WC, Can Ch. Cedarwoods Almond Roca Divine, Ch.Woodhull's Frankly My Dear, Ch. Caden's Coca- Mo Brute. Venus is in a wonderful guardian home. Rey, is such a sweet/loving girl. She is the daughter of our retired girl Valrhona (half sister to Venus) and Big Sky Gift From God At Iron Hill "Matthias". We are super excited to see what she produces. 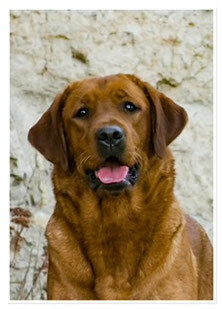 Pedigree includes Am/Can Woodrull's Roger That, Ch. Wilber Leisure Suit Larry JH WC, Can Ch. Cedarwoods Almond Roca Divine, Ch.Woodhull's Frankly My Dear, Ch. Caden's Coca-Mo Brute. Big Sky's Peacekeeper, GCH Big Sky's Stone Kutter CH. Chablis Caid , CH Chablis Choclatine. Rey is in a wonderful guardian home. Huge thanks to Jackie, Emily, and Carson for training and loving her.